A German-based foundation and the Family Ministry landed in hot water months after releasing a brochure for kindergarten teachers that would potentially come in handy to identify right-wing sentiments among children. The Amadeu Antonio Foundation (AAS), a Berlin-based organisation engaging against racism, right-wing parties and anti-Semitism, has published a bulky brochure to help parents and kindergarten teachers to deal with children who have expressed racist or nationalist sentiments. The 60-page manual, which was co-funded by the Family Ministry, offered advice on how to handle various situations, for instance, "How to deal with it when teachers or parents make anti-refugee or racist statements in front of children, or directly attack refugee children or parents?" The brochure has caused quite a stir in Germany, receiving much backlash from both media and political parties. The country’s biggest newspaper, Bild, ran a story, headlined “Row Over Snooping Manual”, to slam the AAS booklet as an attempt to portray children as potential “informants” against their own parents. The media outlet further slammed the description of a case where kindergarten teachers had to deal with two children of parents who belonged to a local right-wing group. "The girl wears dresses and braids, she is directed to do house work at home, while the boy faces strong physical challenges and drills", the manual said. Addressing the passage, Bild wrote that such a description gave the false impression that girls’ braids and clothes or a strong physical demand from boys amounted to being identified as right-wing. 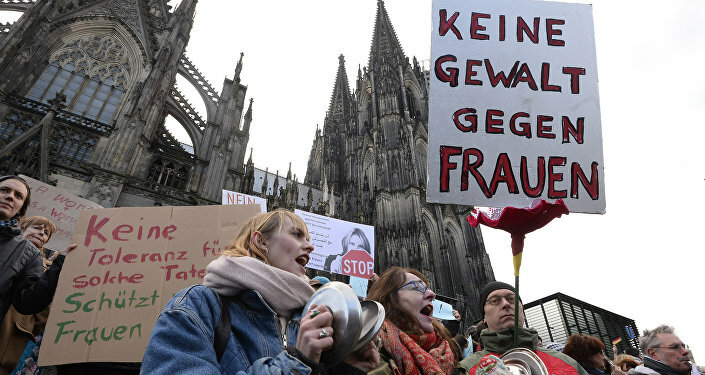 The brochure couldn’t go unnoticed by the right-wing party Alternative for Germany (AfD), which accused the NGO of championing “Stasi methods” in an apparent reference to the Ministry for State Security in East Germany that repressed the population. TWEET: "Unbelievable! [Social Democratic] Family Minister Giffey has our children spied on. The army of mindset snoopers now infiltrates the kindergarten on its right-wing hunt. That's clearly going too far!" Responding to the Bild report, the AAS said that the newspaper expressed its outrage over the three-month-old pamphlet only after right-wing German blogs such as Philosophia Perennis and Journalistenwatch had picked up the story. The foundation flatly rejected the accusations. "This is a case in which a girl from a well-known right-wing family is described in a certain way. At no point do girls with braids fall under a general suspicion of being right-wing extremists. So don't worry, you can still put your daughters and sons in braids and give them dresses to wear," the AAS wrote in an article on its website. “We got around 450 hate phone calls in the first 48 hours, threatening with things like terrorist attacks. We haven’t counted the number of emails but it was around 500”. In the meantime, Family Minister Franziska Giffey released a statement to clarify the brochure’s purpose. “The example that was criticised was presented in the context of a concrete case of the phenomenon of ‘nationalist settler families’, which has been increasingly seen in certain regions of Germany. This is based on true cases drawn from a long-term counselling work, where teachers have asked for help with dealing with nationalist families”.